Making sense of the rumours, meagre announcements and suppositions. Assassin’s Creed games have always attracted a multitude of people and the debate surrounding all of the series’ games have been quite controversial and fervently participated in. For example, the location of every game has been of paramount importance to the games of the series. This trend has continued with the announcement of Assassin’s Creed V, which has metamorphosed into an yearly series. But if the word around and subtle official statements are to be believed, we may be in for a double treat soon. Assassin’s Creed games have garnered a cult following of their own. since it first hit the market. The games have traversed sundry timelines in history and every location has brought with it something uniquely appealing. The first game focussed on the Crusades and the struggle of one of the greatest assassins to tackle the Templars. The most revered of the games – Assassin’s Creed II – had Ezio Auditore da Firenze at its helm who had brilliantly steered the series with his exquisite persona; hats off to Ubisoft for such an epic game. 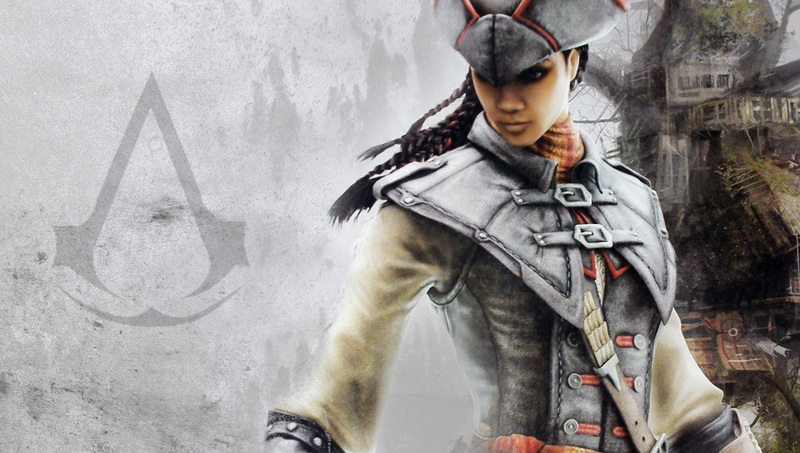 Assassin’s Creed III was more of a let down for everyone. It’s the ubiquitous truth. The game still held on to game mechanics from the earlier games a whilst introducing new game elements and combat style. While all of this was received well, the game’s story seemed to have been written by Rob Cohen on a bob-sleigh in the tundra. "First and foremost, different locations have meant that a very diverse set of people have found the games appealing. The first game may have been played by a different lot while the one featuring Ezio might have drawn the penchant of completely different lot with its Renaissance backdrop." Assassin’s creed IV on the other hand had featured a radically different backdrop – that of the 18th century Caribbean – considering the series’ previous games. It had introduced us to a beauteous pirate age. One would think that being at sea would severely restrict the game’s ability to let the users’ move around freely, but to the contrary, the game managed to pull it off incredibly with a sprawling world albeit being restricted to oceans, atolls and archipelagos. Although the game’s story appeared to be sauntering and wandering in every direction without any definite purpose to it. Nonetheless, a number of spin-offs of the game series had meant that the game had plenty to go on even when the main game wasn’t being developed. Treading the path of its predecessors is Assassin’s Creed V. The game, more than ever, has a lot riding on its shoulders especially after the blunder that Assassin’s Creed III was.The first thing that comes to mind as mentioned before is the location of the game and the doubts and speculation about it aren’t unfounded because the location of Assassin’s Creed games is what has defined them with every subsequent games. First and foremost, different locations have meant that a very diverse set of people have found the games appealing. 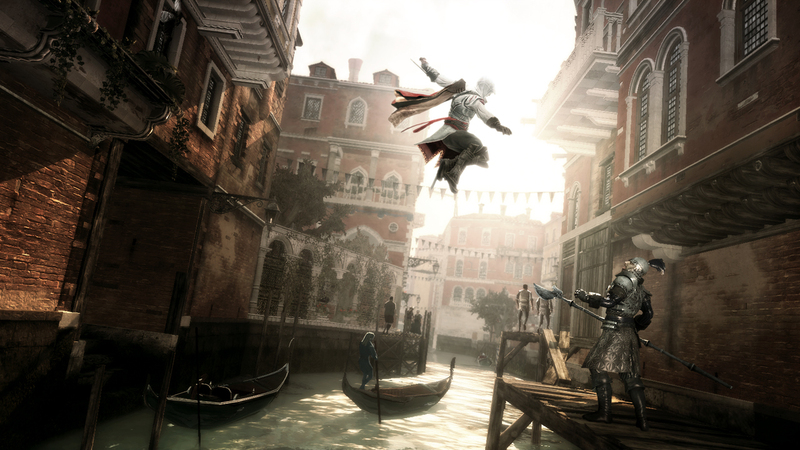 The first game may have been played by a different lot while the one featuring Ezio might have drawn the penchant of completely different lot with its Renaissance backdrop. Same goes without saying for the Assassin’s Creed V. Different locations mean a lot for Ubisoft as it could mean the difference between success and failure for them. "For a long time it was said that the game would be set in Feudal Japan with the Samurai toting their Katanas as they fought against the impending evil of mankind. That had been denied by Ubisoft Toronto managing director, Jade Raymond, but she had let on that the game would take place in her favourite historical era. More fuel to the fire." But Ubisoft has said that they will give their utmost to this game and that they won’t settle for a half-hearted effort that would result in a jejune game. They have clearly limned that they won’t be afraid to delay the project if they feel that the game is not up to the mark. Having scrapped Rainbow Six: Patriots and rebooting it, we don’t have anything against them to doubt their words. With such announcements, they have has put to rest any consternations and doubts about the game’s quality. Albeit it mean that the game would be longer in its coming. There hasn’t been a major leak or announcement from the developers of the game this time around. Has that stopped fans from speculating and discerning what the possible locations of the game might be? Absolutely not. There were a gazillion possible locations that had been suggested by fans and on forums alike and a few were accepted that came about as rumours. Some of them sounded good too. For a long time it was said that the game would be set in Feudal Japan with the Samurai toting their Katanas as they fought against the impending evil of mankind. That had been denied by Ubisoft Toronto managing director, Jade Raymond, but she had let on that the game would take place in her favourite historical era. More fuel to the fire. We were left with a surfeit of trepidation when Ubisoft’s Assassin’s Creed: Initiates Twitter page posted some hexadecimal codes not an awful lot of days back. Th egos bestow mercy upon the zealots and devout followers deciphered these codes to let us know that they were co-ordinates for some place in Russia, possibly near Moscow or Barguzin. There’s a great possibility that the game would be set in pre-industrial revolution Russia or possibly Russia going through the revolution where arguably it occurred considerably later, somewhere in the early mid-nineties. The industrial revolution mention was on the Tumblr page of the Ubisoft but it was quickly removed, sparking even more emphatic discussions and speculations. This possible ‘leak’ was spotted by a Reddit user. Vehement speculations of the next game being based on the spin-off comics Assassin’s Creed: The Fall and Assassin’s Creed: The Chain have found their way into the fans’ minds. This idea is particularly appealing because the comic portrays an Assassin turned Templar along with his ancestors. This definitely sounds like a sound and solid prospect for a spin-off series/game particularly whilst brooding over the tumultuous history of Russia. With the Industrial Revolution and a plethora of new inventions around, it could serve as a perfect setting for a new game. 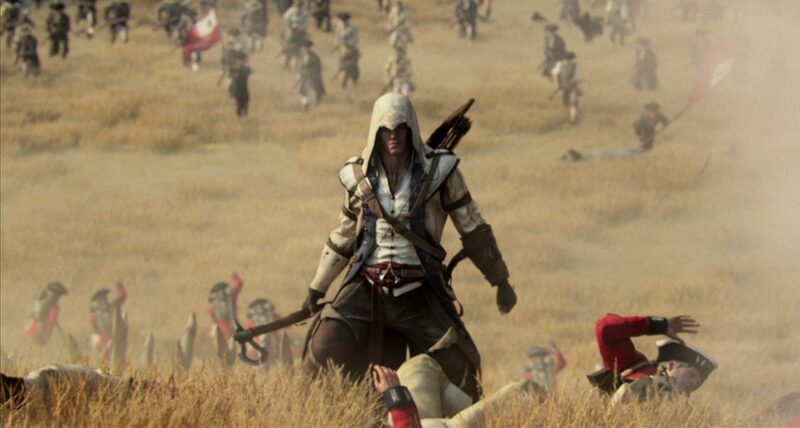 "Another captivating thing is that we may witness two Assassin’s Creed titles this time. Ubisoft Sofia producer Momchil Valentinov Gindyanov had said this adding that the series is going under scrutiny for new alternatives. Couple that with the possibility of AC IV being a standalone game and voilà! We may yet witness a new series." There were a lot of contraptions, accoutrements and inventions conceived in the erstwhile USSR of the time and thus can really aid the game in carrying forward the series. Ubisoft having earlier said that the Assassin’s Creed series would probably never unravel in the modern times due to its immense and ardent focus on melee combat, it alludes to the fact that Ubisoft might consider moving a little back down the timeline and set the game where people are a little less unfamiliar with the concept of lugging around gunpowder and lead and testing it on a white robed bloke jaunting on the rooftops. Since hand to hand combat is critical to the experience of the game, it takes precedence over almost all other aspects of the game. The same has been confirmed by Ubisoft some time back, allaying fear of the many who mused over what the series would come to if the next game were to be in the modern world alongside crushing hopes of the few who were expecting precisely that. A press release by Uproxx had indicated that the game may be set in Victorian England but this acumen of theirs has been somewhat thwarted with the release of the co-ordinate codes by AC Initiates’ tweets. With the disputable – often read as despicable – ending of Assassin’s Creed III which moved Desmond a little further away from the story’s focus, the developers opened for themselves a sundry lot of avenue to expand and weave the story of the Assassins, the Animus and the Templars. Having said that, Edward Kenway’s buccaneering role in AC IV was well received and the story has given ample opportunity to the developers to be deviant from the core of the franchise and render a standalone series. But that has its problems too, whether to make another title with a hidden blade wielding corsair or to go on with the franchise’s prowess and make a title in another setting. The latter just sounds like AC V.
Another captivating thing is that we may witness two Assassin’s Creed titles this time. Ubisoft Sofia producer Momchil Valentinov Gindyanov had said this adding that the series is going under scrutiny for new alternatives. Couple that with the possibility of AC IV being a standalone game and voilà! We may yet witness a new series. "It is given that Ubisoft should maintain the flavour and zest of the previous games with the nicely executed combat system and sprawling open world, but they will have to come up with new ideas. 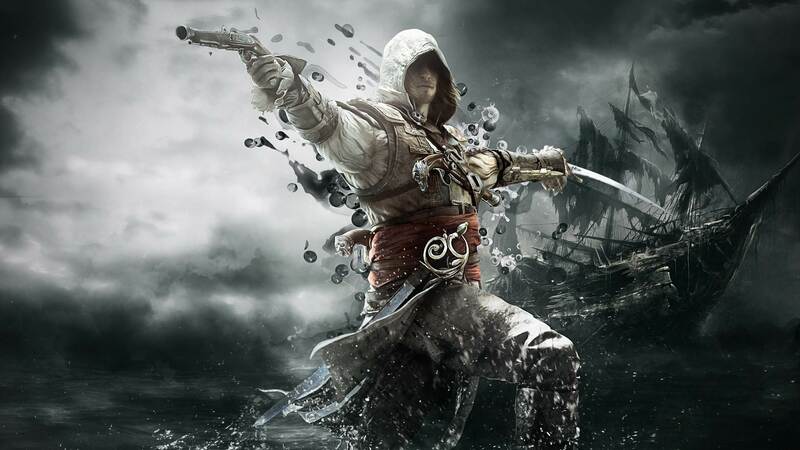 How Ubisoft executed Assassin’s Creed IV, in a rather unconventional world, assuages any apprehension that we have had for the subsequent game." It is given that Ubisoft should maintain the flavour and zest of the previous games with the nicely executed combat system and sprawling open world, but they will have to come up with new ideas. How Ubisoft executed Assassin’s Creed IV, in a rather unconventional world, assuages any apprehension that we have had for the subsequent game. We all have a separate place in our hearts for the hidden blades and we most certainly do not want to miss the sweet sound of metal sliding out from our wrists. But then Ubisoft people aren’t pathetic. The new consoles have served as a blandishment for a whole lot of people. With Assassin’s Creed IV, we got to see the finesse that the consoles are capable of as well as the adroitness of the developers in employing the new consoles as well as what to expect from the subsequent games. Assassin’s Creed V would easily be capable of smotheringly beautiful graphics applied to an expansive world with immersive platforming. Speaking of tertiary expectations, it’d be good to have NPCs having their own separate lives and self sustaining ecosystems; something that Skyrim and Witcher 3 boast of respectively. Although not a necessity, but it patently helps in escalating the gaming experience. Assassin’s Creed games have always been historically accurate, be it characters, locations or culture. New consoles should help ameliorate the portrayal of all of that. The new generation of consoles ensure a more immersive experience for subsequent games. We don’t know when the game would hit the market, but we do know that there’s a little disappointment for PC users. It’s almost certain that the PC port of the game would take time. So while people would be enjoying those games and happily bounding over impediments, people like me would be sitting here still typing or thinking about how the game is with a little irritation in their eyes bothering them. This is something that can’t be helped willy-nilly. Bummer. "Although the meagre few announcements may have left us a little despondent, there’s oodles of other things to rejoice over. Firstly, it’s evident that Ubisoft is cogitating over the upcoming AC game and they aren’t going in with a tepid demeanour." Although the meagre few announcements may have left us a little despondent, there’s oodles of other things to rejoice over. Firstly, it’s evident that Ubisoft is cogitating over the upcoming AC game and they aren’t going in with a tepid demeanour. They have made it clear that they won’t besmirch and let the next game in a series of such stature just pass as as another game. It’s really exhilarating to know that Ubisoft is actively taking part in discussions and considering fan theories. Looking at the other games that Ubisoft has come up with, we can rest assured that Ubisoft knows what to commingle to make a flabbergasting game. What’s certain is that we are in for a surprise this time around. It could be two games, it could be a spin-off, it could a new series for all we know. Even after Ubisoft pacifying our doubts, it leaves us a skosh fretful. We hope our worries go unfounded.